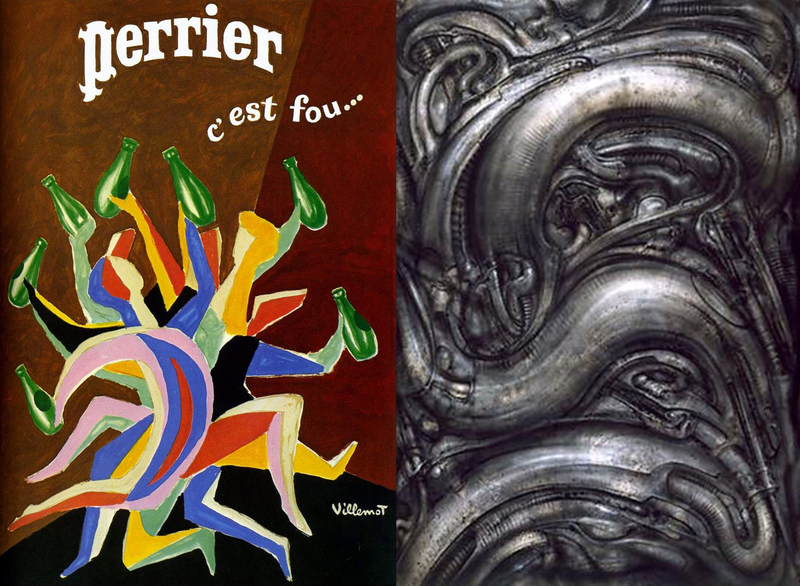 Alien Explorations: Giger's Alien Heads (work 509) (1983) references Villemot's "Perrier C'est Fou...." poster (1979) ? 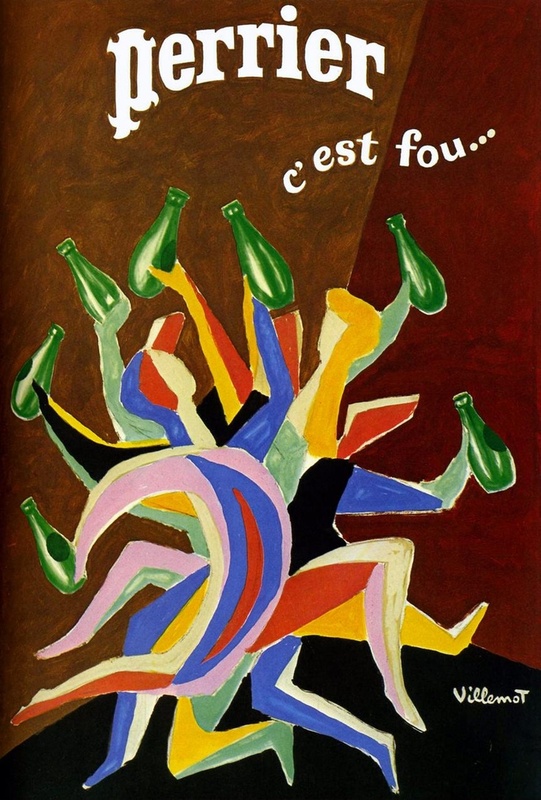 Villemot's "Perrier C'est Fou...." poster (1979) ? 1979 , Bernard Villemot's poster for Perrier featuring multiple people together overlayed holding bottles of Perrier was released. 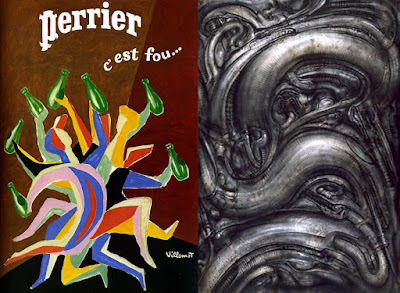 In the middle of October 2016, since I worked out that Giger appeared to have shown interest in Bernard Villemot's Paris 3.4.5 - Oct. 1955- VI Congrès International des clubs de publicité poster when he painted Necronom IV, I looked at this Perrier C'est Fous poster from time to time realising that Giger would have been interested in it. This had the makings of another Giger painting with it's crescent shapes and human limbs everywhere forming a brightly coloured mass of limbs. 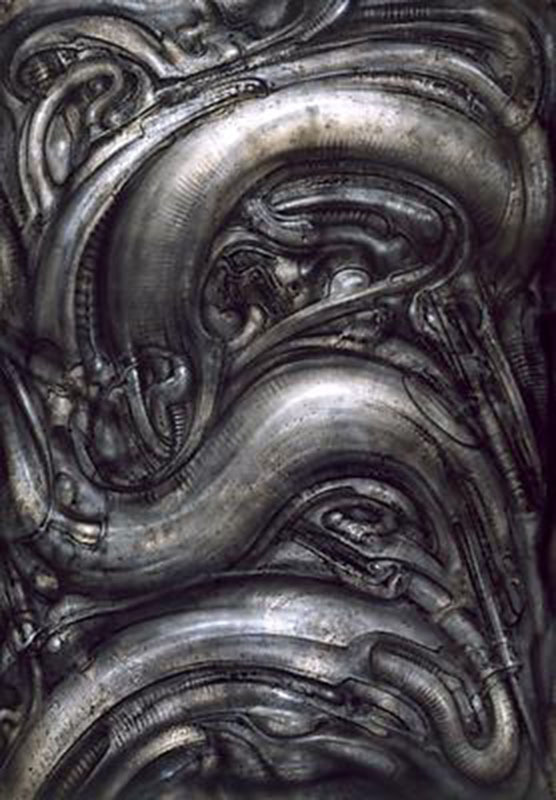 If Giger was going to reference it, he was going to have to take a part of it and present it in the most unlikely way that interested him. 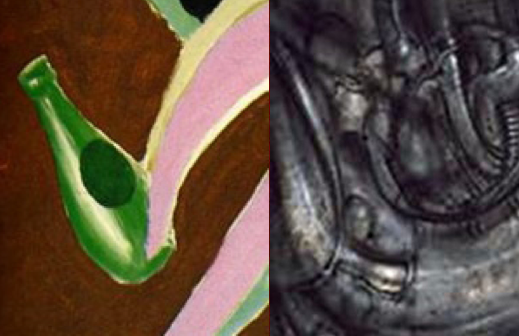 I looked for limbs and crescent shapes together and looking at the year the Perrier poster was released 1979, it would have to be somewhere in time after that. 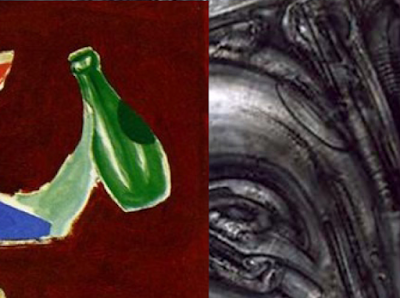 side view of label from right bottle and comparable shape in the central alien head.